Ball-Pythons.net - When a member states that single gene ball pythons are boring it starts quite a discussion, including what the benefits of these snakes are and mention of some of the beautiful morphs that are only single gene snakes. Single, Double, Triple – How are they Defined? Reptiles Canada - A recent question on genetics prompts a discussion on what defines different multi-gene classifications for ball pythons. Reptiles Canada - A few beautiful shots of some very nice ball pythons. 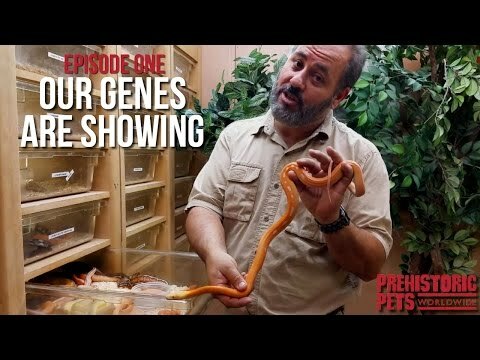 Reptile Insider - David Morgan shows off a nice selection of single gene boa constrictors from his collection. Bush League Breeders Club - Check out some nice pictures of some beautiful carpet pythons. YouTube - Jay gives us a look at some amazing multi-gene reticulated python combinations, including the awesome “Green Lantern”.